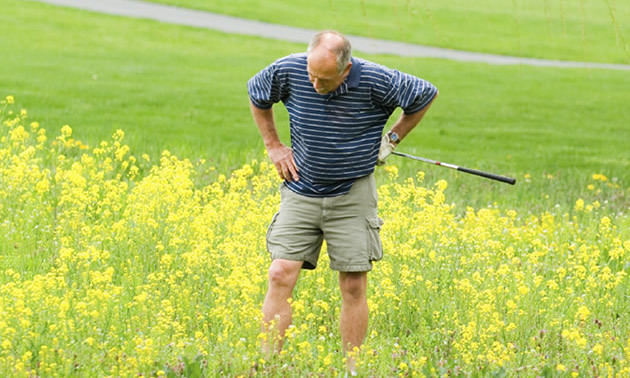 Losing a golf ball is not the worst thing to happen to your golf score; however, losing perspective is. You must remember that if playing this game is not responsible for putting a roof over your head, food in your children’s mouths or ensuring bills get paid, then it is something you do by choice for recreation and fun. If you are a bit of a hothead when things are not going well, I do understand. I myself am the first to admit I am a competitive person and this game certainly will try every last ounce of your patience when you are scoring and playing below your potential. As I have grown older I have learned a great deal about perspective simply through experience and maturity. This wisdom, if you will, has helped my game immensely and will help yours as well. Bottom line, you allow yourself to get frustrated and, whether you like to admit it or not, it is a choice you make. The focus for most players tends to be on the outcome of the day or hole which is written by pencil in the small box on the scorecard. Is this a realistic measuring stick for your day and overall enjoyment? No. Score is not the way to measure enjoyment. Consider the fact that the only two things you have full control of during a round are your effort and your attitude. The end score is a result of many factors, some of which are truly beyond your control. If you believe good scores are the only way to create enjoyment, I ask you this one simple question: What did you shoot the first round you ever played in your life and why did you ever consider playing a second round? Certainly you would not have played your best golf in your first round, so clearly you were drawn to this game for reasons far beyond score. You should only measure your day by the real factors which draw you to this sport; they are the reason you play this game in the first place. Why do you play? What drew you to the game? For some it is about exercise, for others the companionship and social aspect, while the personal challenge it provides drives others. Saying you only have fun when you play well is the wrong attitude to take and tells me you have lost perspective. Playing well and winning all the time is simply not a realistic expectation in golf or any facet of our lives for that matter. Reflect upon the real reasons you play this game and keep them first and foremost in your mind when measuring success.